the photo is wonderful, also. Love the mood. Good stuff. Simple and impacting. Good find. I have a question though...where can I find material like that? 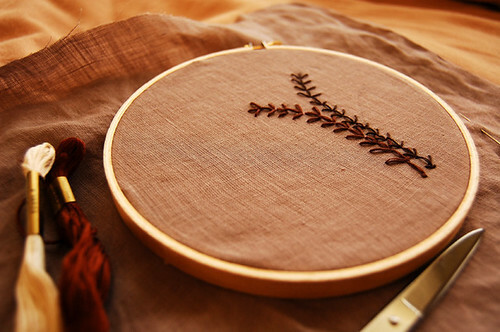 I have this project I want to start on (an emboridery project) but I want nice linen-like fabric like the one in this picture. Problem is, I am in Korea until June and have no where clue where to find it. If there is a possibly website you can point me to, I would greatly appricate it. Oh, that's pretty--both the stitching and the photo of it. I love it... Great fabric and colours.